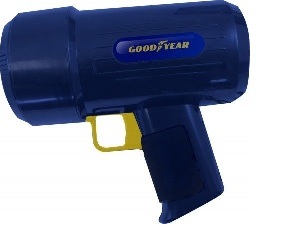 GOODYEAR High Power Cordless Handheld Spotlight •1 million candle light super powered spotlight with reflectorCordless and rechargeable for ease of use Charges in cars and power points Charging indicator light Soft moulded handle for comfort and grip Compact for easy storage in the house, car boot, when night driving or camping. We are the UKs largest supplier of LCD TV Wall mounts and Projector Ceiling mounts. All mounts are manufactured by Vivo to the highest specifications and are backed by our lifetime warranty promise.